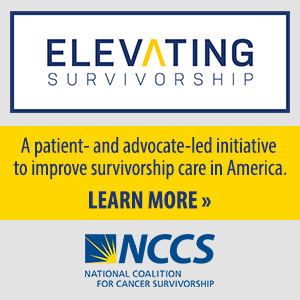 NCCS joined with other cancer organizations of the Cancer Leadership Council (CLC) in a letter to the Department of Health and Human Services (HHS) and the Centers for Medicare and Medicaid Services (CMS) regarding the new plan announced on August 7 that gives Medicare Advantage plans the option of applying step therapy for physician-administered and other Part B drugs. The letter outlines several concerns regarding the application of step therapy—which requires physicians to prescribe preferred drugs first, only progressing to more costly therapies if necessary. The letter states, “The application of step therapy for Part B drugs would fundamentally undermine the progress that we have made in personalizing cancer therapy,” and warns that utilization of step therapy may adversely affect the ability of cancer patients to make informed treatment choices and may have a negative impact on the quality of care they receive. Read the full CLC Letter below. The undersigned cancer organizations are writing to express our serious concerns about the plan announced on August 7, 2018, to provide Medicare Advantage plans the option of applying step therapy for physician-administered and other Part B drugs. Medicare Advantage plans would be given the choice to apply step therapy beginning January 1, 2019. The utilization of step therapy for these drugs may adversely affect the ability of cancer patients to make informed treatment choices and may have a negative impact on the quality of care they receive. The application of step therapy for Part B drugs would fundamentally undermine the progress that we have made in personalizing cancer therapy. We also object to the manner in which this plan is being implemented, as the plan does not include adequate patient protections. 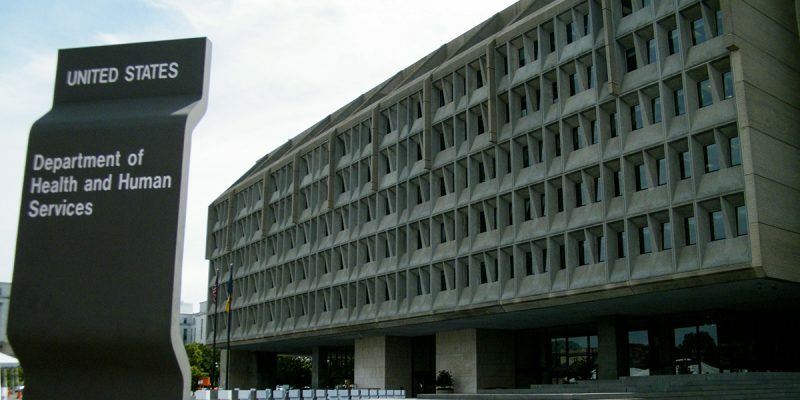 These protections must include a rigorous and efficient exceptions process and transparency in the choice of plans and whether they will utilize step therapy. We also have reservations about the suggestion that savings from step therapy will be shared with patients through gift cards. In recent years, our organizations have worked diligently – through provider and patient education, design and development of patient decision-making and care management tools, and development and dissemination of practice guidelines – to improve the delivery of personalized cancer therapy. In our view of cancer care, personalized care does not only mean the delivery of therapies that utilize the patient’s immune system or are molecularly targeted. Personalized care fundamentally means care that is chosen and delivered after a care planning process that considers a patient’s diagnosis, goals of treatment, management of treatment side effects, psychosocial issues, and financial toxicity. In other words, our goal is patient-centered care. The utilization of step therapy by Medicare Advantage plans has great potential to thwart our ongoing efforts to ensure delivery of personalized care to all people with cancer. We also have serious concerns about the appeals process that will be available to beneficiaries in Medicare Advantage plans that utilize step therapy, because there is no guarantee that the process will be expeditious enough to ensure access to appropriate drug therapy in timely fashion. The Fact Sheet entitled Medicare Advantage Prior Authorization and Step Therapy for Part B Drugs, published on August 7, 2018, states, “The beneficiary can ask the MA plan for an exception if they believe they need direct access to a drug that would otherwise only be available after trying an alternative drug.” The letter from the Centers for Medicare & Medicaid Services (CMS) to Medicare Advantage Organizations states, “CMS strongly encourages that MA plans expedite requests for exceptions in Part B, to align with the 72-hour adjudication time frame for requests in Part D.” We do not consider that encouragement from CMS an adequate protection for Medicare beneficiaries with cancer, and we cannot be assured on the basis of this encouragement that the exceptions process will be responsive to the needs of cancer patients. If this plan is to move forward, there must be an assurance of an expedited exceptions process for Medicare beneficiaries. The Fact Sheet describing this effort suggests that beneficiaries will be protected because they will be able to evaluate 2019 Medicare Advantage plans and whether those plans will employ step therapy during the Medicare Open Enrollment period from October 15, 2018, to December 7, 2018. In addition, the Fact Sheet states, beneficiaries may make a one-time election to go to another Medicare Advantage plan or Original Medicare from January 1 to March 31. Individuals may make a coordinating change to add or drop Part D coverage. However, there is no assurance that there will be adequate materials or adequate transparency about plan options to help people understand the implications of their plan choice. As a result, it is not clear that beneficiaries can make truly informed decisions. For example, CMS informs Medicare Advantage Organizations that if their Annual Notice of Change (ANOC) and Evidence of Coverage (EOC) documents are already in production for the 2019 plan year, they may send out an addendum to inform beneficiaries about step therapy changes. We anticipate a chaotic enrollment process for beneficiaries and an even more difficult first quarter of 2019. Although we will make every effort to provide educational materials to beneficiaries regarding their Medicare Advantage choices and the implications of step therapy, the time frame for accomplishing that goal is very difficult. We would also note that Medicare beneficiaries who move from Medicare Advantage to Original Medicare may encounter difficulties securing Medigap coverage, an issue that is not addressed by CMS. The inability to obtain such coverage may increase the financial burdens borne by Medicare beneficiaries in Original Medicare without Medigap coverage, an unfortunate result of a plan that claims to address financial toxicities for beneficiaries. We appreciate the effort to address the burden of prescription drug costs. Cancer patients shoulder significant financial responsibilities related to their drug therapies, and providing relief to them is an important goal. However, we are not persuaded that this plan provides them or the health care system meaningful financial relief, while at the same time it adversely affects beneficiaries’ treatment choices and imposes on them the responsibility for pursuing exceptions to receive proper treatment. We understand that Medicare Advantage beneficiaries may receive as much as one-half of savings associated with step therapy choices, perhaps given to beneficiaries in the form of gift cards. Our organizations are fully engaged with patients in efforts to address the financial toxicity created by cancer treatment. Our efforts include education about cost of care as part of treatment decision-making, education about choice of insurance plan, and patient assistance for cost-sharing responsibilities. We are concerned that the gift cards envisioned by the Medicare Advantage step therapy plan will not provide meaningful relief to Medicare beneficiaries and that the financial assistance represented by the cards does not outweigh the burdens of step therapy. We do not believe that this plan can be easily revised and refined to protect the interests of Medicare beneficiaries. However, we recommend that the plan be immediately retracted for the 2019 benefit year and that CMS undertake a rulemaking process to determine whether changes can be made to the proposal for 2020 and beyond that would ensure patient access to appropriate treatment. The modifications to the step therapy plan that should be evaluated include incorporation of practice guidelines and clinical pathways in Medicare Advantage plans, transparency about Medicare Advantage plans and their use of step therapy to assist beneficiaries in making informed plan choice, and exceptions processes that are expeditious and fair.